Austria, like Switzerland, offers an incredible variety of flying sites and microclimates. These sites run along the eastern arc of the Alps towards the end, on both the north and south sides. The optimal conditions created around this awesome landscape nurtured the growth of freeflying, so paragliding and hang gliding have become very popular here. There is also a constant flow of weekend pilots who seek out the large easy meadows of Tyrol and Carinthia during their holidays. Many German pilots avoid the tougher Bavarian sites altogether and come directly to the interior of the Alps. Whoever has experienced the thrill of the long XC highways of the east-west valleys of Pinzgau, Enns or Inn will always return for more of this precious flying! For occasional pilots, I recommend places like Kössen, Stubai, Andelsbuch or the Zillertal valley and Wildschönau, as they have few obstacles, an almost perfect climate and easy flying conditions. 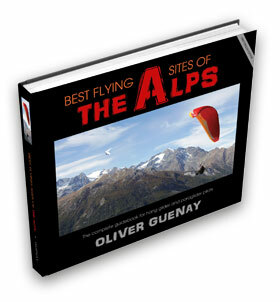 For more adventurous pilots, there's lots more to discover in this guidebook! My personal favourites are Venetberg and Hinterhornalm, both powerful XC sites and situated above the long east-west axis of the Inn river valley. Probably the busiest sites are Emberger Alm, Gerlitzen, Andelsbuch and Kössen. Emberger Alm, in particular, is a very easy XC site on the south side of the Alps. Sites that are rewarding but a bit more difficult are around the Enns valley and Dachstein (Loser and Stoderzinken), or the upper Salzburg country (Fulseck and Bischling) and also in the west of Austria at Predigberg and Hochjoch.